Camotes Island is a backpacker’s paradise. It is comprises with aquamarine coast, tropical jungle and enthralling island vibe. Unlike Palawan or Siargao this island is still under the radar so you can totally enjoy the beach and other attractions with fewer tourists. 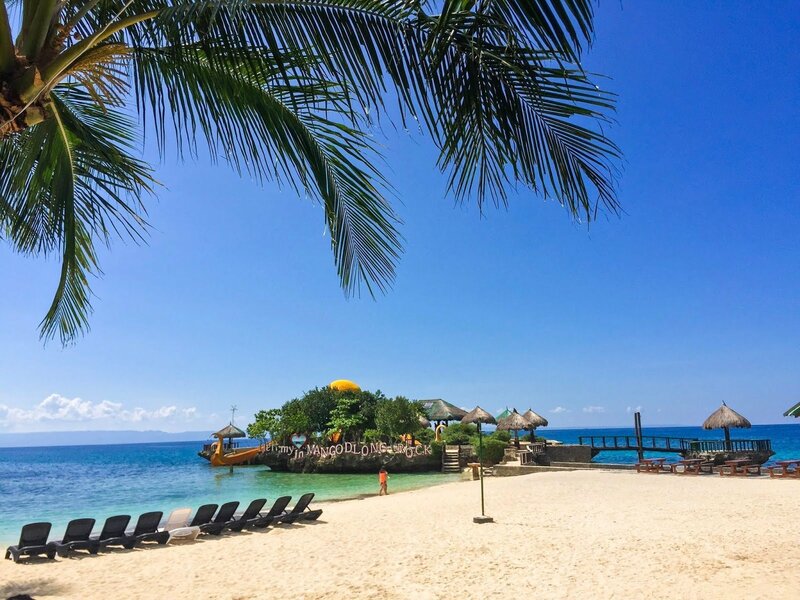 Composed of four quaint municipalities, the island of Camotes can be your next big island adventure. The relaxing and romantic atmosphere in Mangodlong Rock Resort. The inviting shore of Santiago White Beach. Buho Rock Resort is an ultimate spot for adventure and thrill seekers. 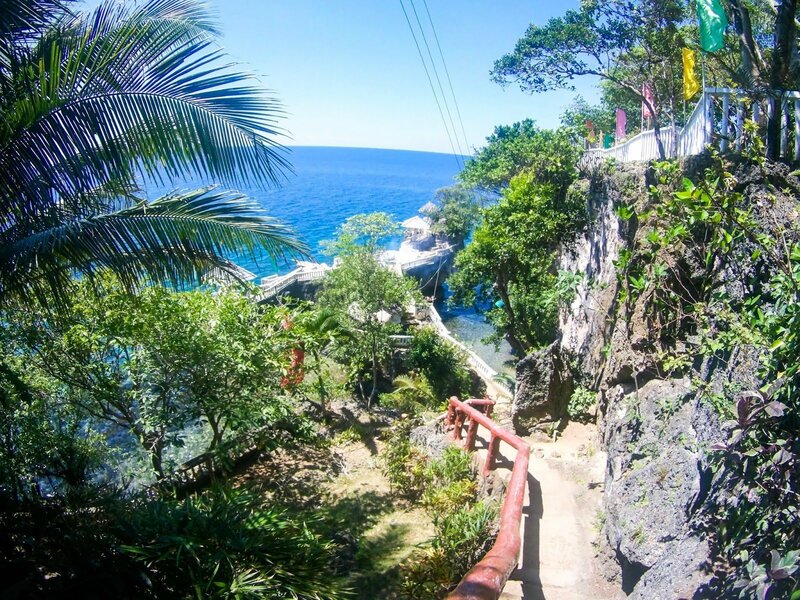 Situated 30 minutes away from the Port in the town of Poro, Buho Rock Resort is an ultimate spot for adventure and thrill seekers. The resort offers exciting water activities such as cliff diving and water slides that will go directly to the ocean. Cliff diving is the popular water activity in the resort. They have two cliff diving platforms that will surely test your nerves. The highest is 35 feet and the other one is around 20 feet. They also have cottages situated over the naturally formed rocks overseeing the endless horizon. The 35 feet Cliff Diving Platform. The underground wonder is a relaxing hideout during hot summer days. The crystal pool is perfect for a refreshing dip and the sound of water drifting from the ceiling is a soothing beat to our ears. 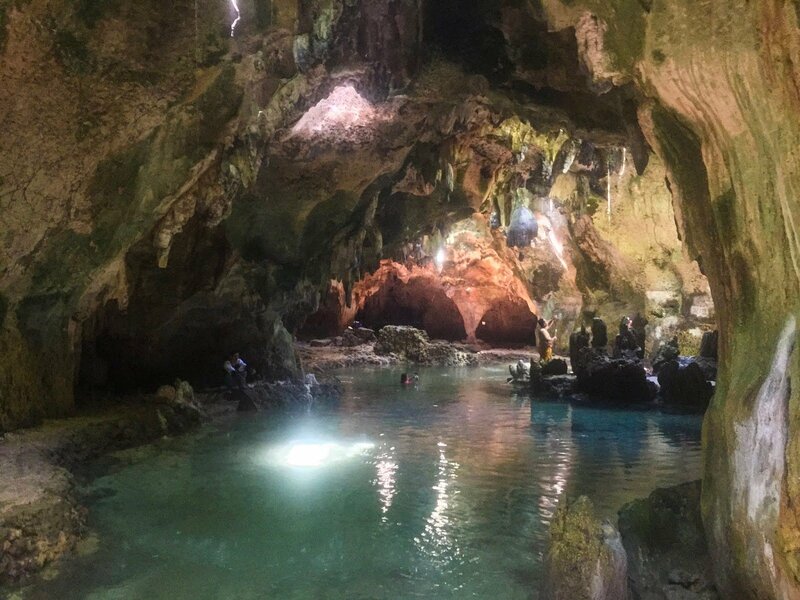 The water inside the cave is believed to have healing powers. It is still not clear where the water originated from; some believed that the water is connected to the sea while others whispered that it is come from a secret natural spring. Nevertheless, the pool is indeed magical and energizing. There are openings throughout the ceiling that permits the sunlight to penetrate the world under. The cave is homed to balinsasayaw a bird that uses its saliva to build nest. Stalagmites and stalactites dotted the floor and the ceiling and it adds fantastic allure to the cave. The stairs leading to the cave. The entrance fee is Php 20. Smoking and alcohol are not allowed inside the cave. Touching the natural rock formations and vandalizing are strictly prohibited. Also, shouting and making unnecessary noise are not allowed. The community are working together to preserve this natural paradise. Lake Danao is situated in the Municipality of San Francisco. It is 30 to 1 hour away from Santiago White Beach and Mangodlong Rock Resort. The Local government Unit of San Francisco is responsible for preserving, conserving the developing the lake to become one the most popular eco-tourism spot in the province of Cebu. The community around the lake is also participating in maintaining the guitar-shaped lake. They want to protect the different species of flora and fauna, different kinds of migratory birds, wild ducks, and different species of fresh water fish that inhabits the lake’s delicate ecosystem. They used the PHP 30 entrance fee to fund their maintenance and for cleaning their facilities. 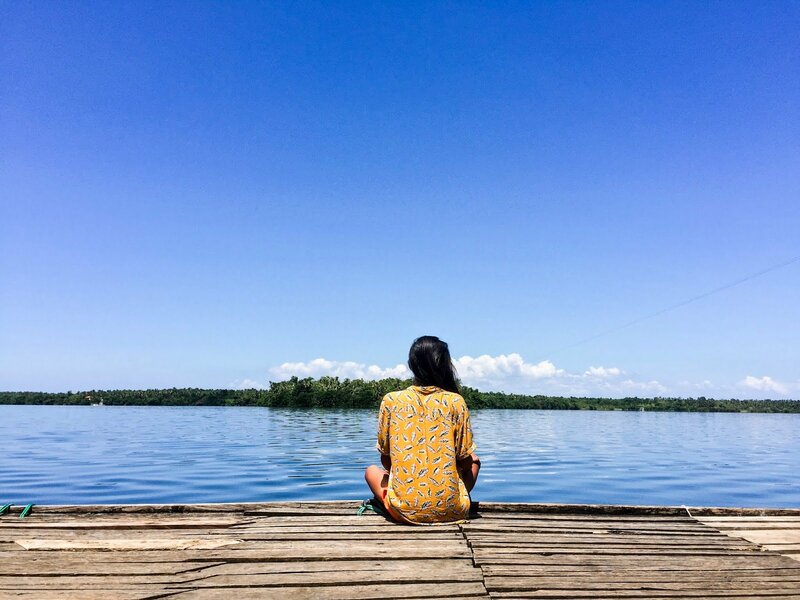 Lake Danao is dubbed as a “Lover’s Lake” due its romantic and dreamy atmosphere. It is ideal for weddings, lunch date and pre-nuptial activities. There are café’s and restaurant, souvenir shops, swimming pool and a mini zoo inside the park. Tourist can enjoy the full view of the lake while having a sumptuous lunch in their huts and cottages dotted around the lake. The lake is relatively quiet and peaceful aside from the singing of birds and the laughter of some local kids. kayaking, zip line and ‘sakanaw” ( basically a cruise powered buy an outrigger boat that will take you around the lake and to the small islet in the middle) are just some of the must try activities to do in Lake Danao. Ocean Jet is the fastest option going to Camotes. It will take 2 hours from Cebu to reach Camotes. Fare is Php 500. Terminal Fee is Php 25. You can book here in advance. From Poro, Camotes pier hired a motorcycle around Php 500 to Php 1000 to visit your chosen destination. If you are traveling in a big group it is much better to rent a multicab at around Php 1000 to Php 1500. It will take you to your chosen destination. You can opt to visit San Francisco public market to buy food and supplies.